In 2000, John Passarella won the Horror Writer Association's Bram Stoker Award for Superior Achievement in a First Novel for WITHER. 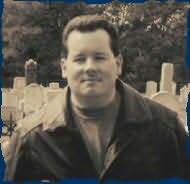 He has also written novels for the BUFFY THE VAMPIRE & ANGEL series. John lives in Swedesboro, New Jersey.